Succop made both of his extra-point attempts and his lone field-goal attempt in Sunday's 33-17 loss to the Colts. Succop connected on both of his field-goal attempts but missed one of his two extra-point tries in Saturday's 25-16 win over Washington. Analysis: Succop continued his struggle with accuracy, missing one kick for the fourth consecutive week. 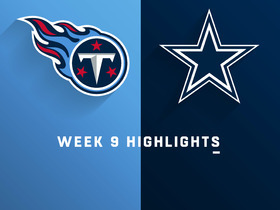 More positively, he managed to connect on 42-and 33-yard field goals, with the latter putting the Titans ahead 13-12 at the beginning of the fourth quarter. Despite missing kicks more frequently, Succop has now managed to score at least five points in each of his past five games. Succop went 1-for-2 on field-goal attempts and made both of his extra-point attempts in Sunday's 17-0 win over the Giants. Analysis: Succop missed a 48-yard field goal on the Titans' first offensive possession of the game, but did bounce back to knock through a 22-yard field goal to put the team up three scores late in the fourth quarter. He has stumbled of late, missing at least one kick in each of his past three games, though Sunday's miss could be at least partly blamed on poor weather conditions. On the positive side, Succop has now scored at least five points in four consecutive games. 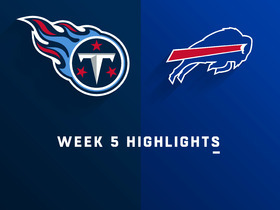 Succop made his only field-goal attempt and connected on three of his four extra-point attempts in Thursday's 30-9 win over the Jaguars. Analysis: Succop missed the extra-point attempt following the team's second touchdown, his second unsuccessful attempt of the season. He did manage to knock through a 33-yard field goal, his only try of the game, to put the Titans up 16-3. Though he's not attached to a prolific offense, Succop has been productive, accounting for at least five points in 11 of 14 games this season. Succop made both of his field-goal attempts and connected on two of his three extra-point attempts in Sunday's 26-22 win over the Jets. Analysis: Succop entered Sunday's contest a perfect 18-for-18 in extra-point attempts, though that streak ended abruptly when his try in the second quarter was blocked. However, he was able to drill a pair of pivotal field-goals in the Titans' comeback victory -- one from 24 yards and the other from 33. His accuracy makes him a fairly safe option, though the Titans' relatively low-powered offense limits his volume. Succop connected on his lone field-goal attempt and also converted both of his extra-point attempts in Monday's 34-17 loss to the Texans. 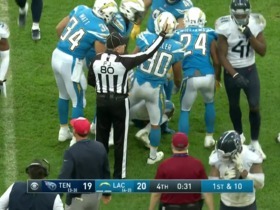 Analysis: Succop opened the scoring, giving the Titans' a 3-0 lead with a 31-yard field goal on the team's opening drive. He's now converted four consecutive attempts -- three of which have come between 30 and 39 yards -- and is 19-for-22 on the season. His two successful extra-point conversions kept him a perfect 18-for-18 for the campaign, making him one of the more accurate kickers around the league. 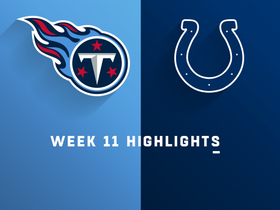 Succop connected on his lone field-goal attempt and also converted his only extra-point attempt in Sunday's 38-10 loss to the Colts. Analysis: The Titans' offense went dormant Sunday, leaving Succop as an observer for nearly the entirety of the game. He did convert when called upon, hitting a 42-yard field goal to close the first half as well as an extra point after the Titans' lone touchdown late in the fourth quarter. After stumbling a bit through the middle of the season, Succop has been perfect for two consecutive games. Succop connected on both of his field-goal attempts and all four of his extra-point attempts in Sunday's 34-10 win over the Patriots. Analysis: Succop had a busy day, hitting all four of his extra-point attempts for the second consecutive week while also tacking on field goals from 31 and 33 yards. With the effort, he is 17-for-20, and is back on track after missing a kick in each of his past two games. With Tennessee's offense seeing improved results, Succop is a consistent option to turn to at the position. Succop missed a 28-yard field goal attempt but he did make all four of his extra-point attempts in Monday's 28-14 win against the Cowboys. Analysis: Succop missed the chip-shot field goal with just over 11 minutes remaining in the fourth quarter. He is in the midst of a tough stretch, missing field goals in consecutive games while being called upon to attempt only four field goals across his last three contests. Succop is sparsely rostered, and given both his recent form and volume, he is not a priority streaming option. 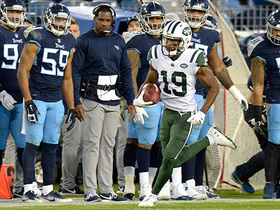 New York Jets wide receiver Andre Roberts returns a kickoff 59 yards. 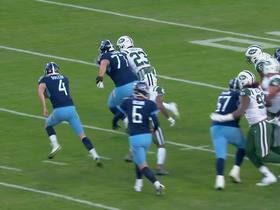 New York Jets defensive end Henry Anderson blocks Tennessee Titans kicker Ryan Succop's extra-point attempt. 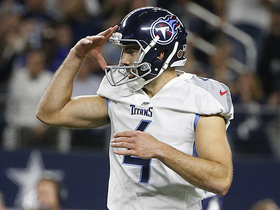 Tennessee Titans kicker Ryan Succop dinks 28-yard field-goal kick off uprights. 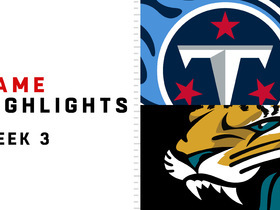 Watch every highlight from the Tennessee Titans' game against the Jacksonville Jaguars in Week 3. 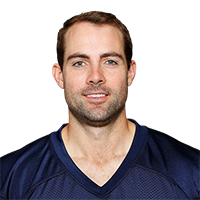 Tennessee Titans placekicker Ryan Succop misses a 48-yard field goal attempt. 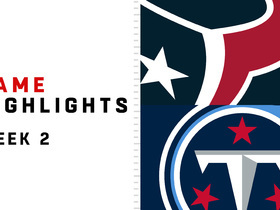 Watch as the Houston Texans take on the Tennessee Titans in Week 2 in 2018.